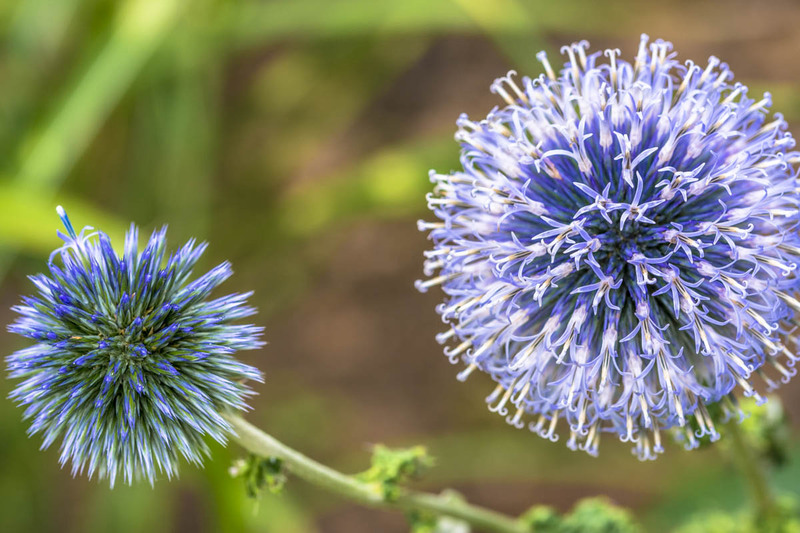 Blue Daisy blog written by Nicki Jackson & Jules Clark - for news, views, garden design, gardening and plant observations and thoughts. Focal points are brilliant tools for bringing your garden ‘into focus’ – focal points add context to a garden. By giving a viewer something distinct to look at, it somehow manages to bring the setting around it – the wider garden – into focus too. Focal points work best when there is a clear line of sight to them; by clearing the way of any other distractions the viewer’s eye is inexorably drawn to the focal point at ‘the end of the line’. The focal point can be anything – an urn, a bench, a plant, a sculpture, etc but it needs to be distinct enough from its surroundings to hold the attention of the viewer for a while once their gaze reaches it. It’s that ‘pause’ of attention that then allows the focal point’s surroundings to then be thrown into focus too. One of the questions I get asked the most is ‘how can I make my garden more interesting’ and there are a few elements to consider for example form, texture and colour but here we are looking at movement. What is important to remember is it really doesn’t matter whether you have a small urban garden or a big estate the same design principles can be applied albeit in different quantities. Quite a few gardens that I visit often appear static, with plants that look as though they have been placed like ornaments, rather than contributing to the ambience and dynamism of the garden. Movement doesn’t have to be drastic though it can be a subtle addition to the space you are trying to create. Did you know that blue is a fantastic colour to use in the garden because it's so versatile? It has a recessive quality to it which some people may find ambiguous but it is that exact quality that makes it such a useful colour to use in a garden design. 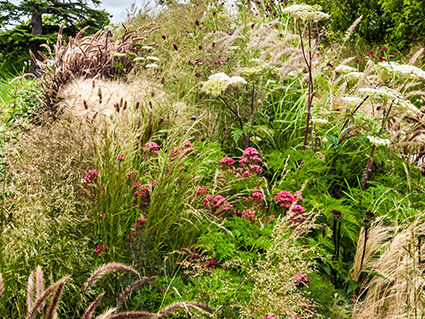 Simply by receding, it can be used to blend other colours together in planting; or to create an illusion of depth be that in planting or within the landscaping materials; it also has an ability to pick up the mood of its neighbouring plants too. 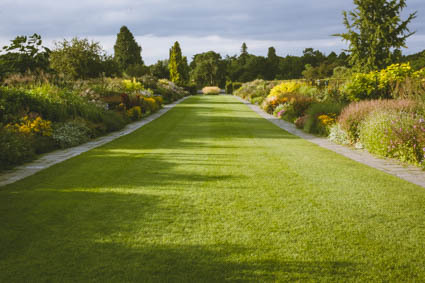 Blue can add depth and space to a garden so it’s a great colour to use at the back of a border to make it seem like the vista is extending even further. There are so many different hues and tones of colours but pale blue for example, can add lightness through intense saturated hues – think of cornflowers on a hot-summers day! It also works really well in shady areas as it picks up the light and this colour is well known for creating calm, restful and contemplative spaces. So with that in mind it’s really important to use the right colour in your garden to obtain the right feel and ambience that you are trying to create. I thought I’d take a slightly different angle than my usual garden design topic and actually look at the garden design process itself in terms of structure since above all else having your garden designed adds structure to your project. According to the Oxford English Dictionary (OED) the word structure has many meanings and all of them are valid in relation to garden design. Firstly, structure is ‘the arrangement of and relations between the parts or elements of something complex’. 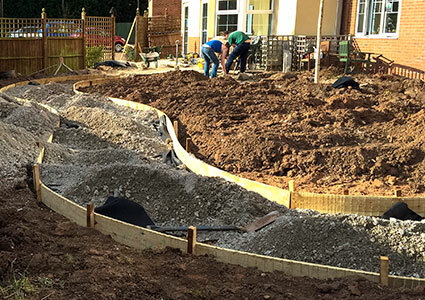 Make no mistake, your garden design is a complex undertaking requiring skills across a number of disciplines – even the ‘simplest’ looking garden design requires the designer to wear many hats ranging from land surveyer to plantsman; creative to structural engineer; sociologist to psychologist (yes, really! ); soil scientist to environmentalist, visionary to pragmatist, and more; and sure, we can all have a go ourselves but we each have to weigh up the cost of hiring a professional garden designer against whether or not our own skills can produce results as well, or as efficiently, or as knowledgably, or as thoroughly, or as creatively, etc. In the vast majority of cases the investment is well rewarded. It’s a happy day when the first episode of the Great British Bake Off (GBBO) new season airs. If you’re anything like us you’ve been glued to your TVs every Wednesday night watching the trials and tribulations of this year’s wannabe star bakers getting to grips with Mary Berry and Paul Hollywood’s stretching, if not seemingly impossible (for us mere mortals), weekly baking challenges. 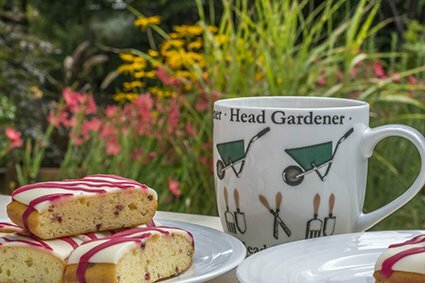 But watching the initially optimistic bakers’ dozen succumb to the pressures of the signature, technical and showstopper challenges over the last few weeks it’s got us to thinking and as mad as it sounds we think the GBBO has lessons about garden design hidden in its depths. So, without further ado here’s our take on what the GBBO can teach us about being a garden designer. We work hard to keep our customers happy. We work to a voluntary customer charter. We take our responsibilities seriously so we're insured through Simply Business. Click on the logo for our Garden Design insurance details. For Gardening details see our gardening services page. ... The Landscape Juice Network where we interact with other professional gardeners, designers and landscapers.